You can always count on Kenzo to reinvigorate your love for fashion. Season after season, Carol Lim and Humberto Leon unveil brilliant pops of colors in fun-loving shapes that consistently feel cool and creative. 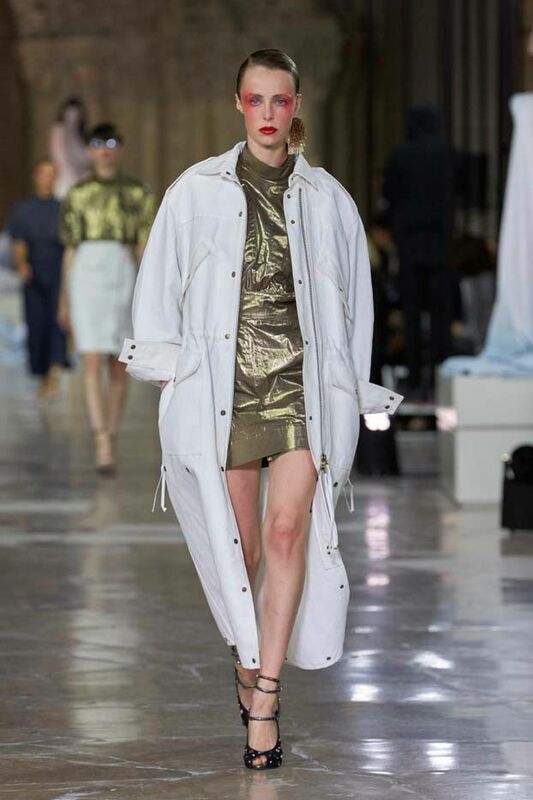 For S/S 17, the two introduced a collection bursting at the seams with covetable items like multicolor sequined slip minidresses, origami-inspired button downs in an icy and metallic shade of blue, and plenty of interchangeable party pieces like miniskirts and structured bralettes. See below for every look from the runway, and if you’re a fellow Kenzo lover, shop the brand’s latest arrivals. Want more? Check out some of our favorite of-the-moment fashion trends.